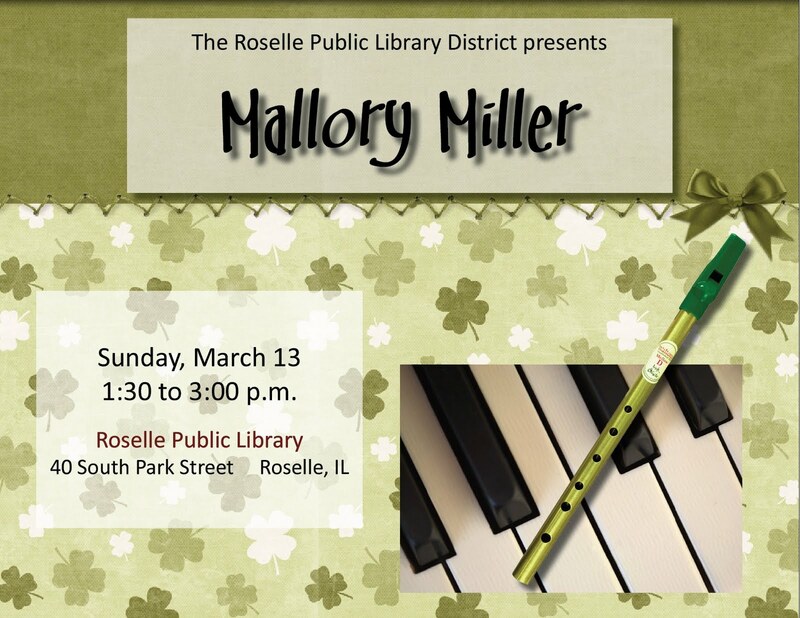 What's New @ Roselle Public Library: Musical Sunday update! There has been a change in the upcoming Musical Sunday performance. Mallory Miller will entertain us with Irish music on the piano, accompanied by her husband on drums; one of them will also play an Irish whistle (a pin whistle). Come enjoy this wonderful St. Patrick’s Day performance! Musical Sundays are held from 1:30 to 3:00 pm in the atrium of the library. Enjoy a cup of coffee and cookies while you listen to the program or go about your usual library activities. No registration is required.